Extracts by exhibition curator Tse Hao Guang, taken from “A Poetic Travelogue in Tamil” by Sundari Balasubramaniam. Biblioasia. 2. 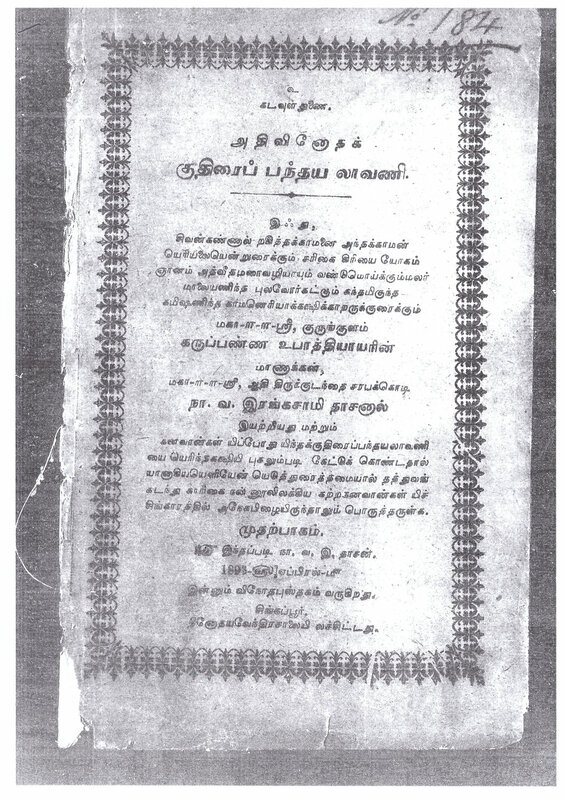 A recording of Sithuraj Ponraj reading an excerpt of அதிவினோதக் குதிரைப் பந்தய லாவணி by NV Rengasamy Dasan. 3. 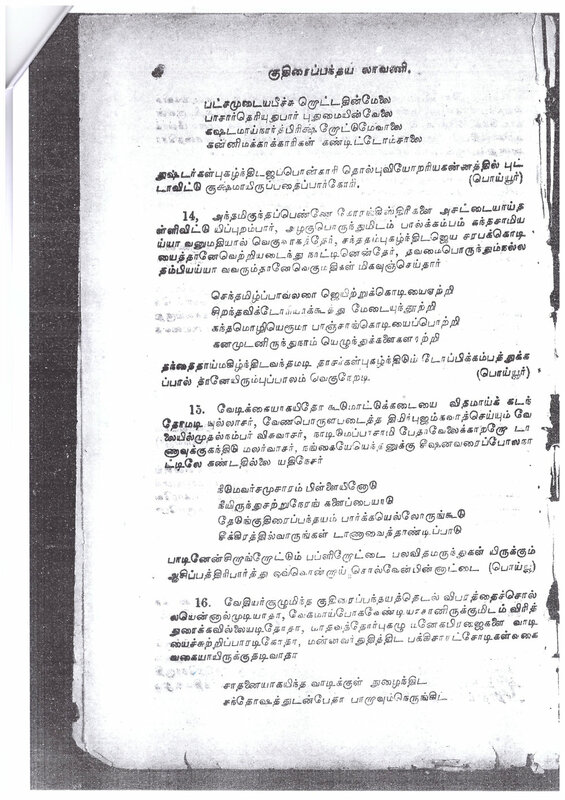 Scans of the pages of அதிவினோதக் குதிரைப் பந்தய லாவணி by NV Rengasamy Dasan, preserved on archival film negatives. NLB.